Hi everyone! Happy October! 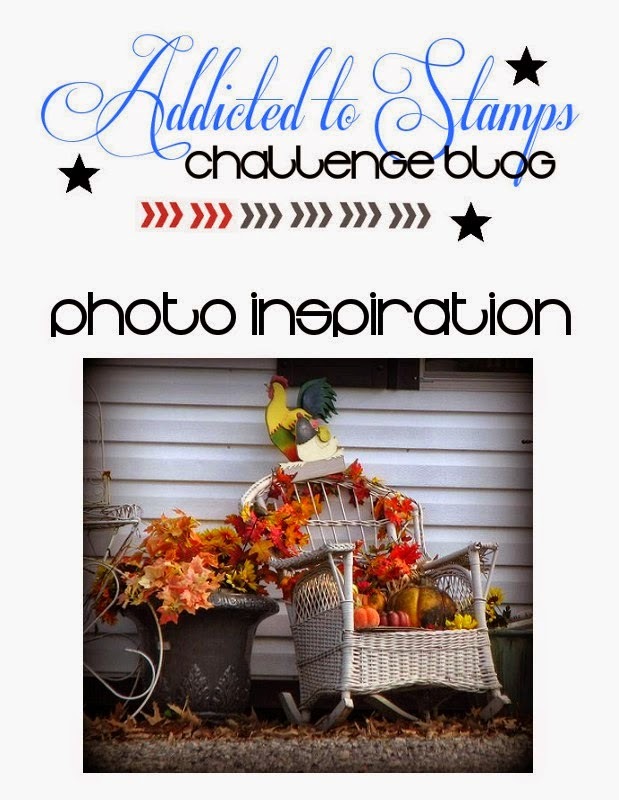 :) I'm here to share a new card with you for a new challenge over at Addicted to Stamps and More challenge. Such a beautiful CAS card, Marina! I love your choice of flowers and leaves and your sentiment really pops against the colors! Gorgeous card, Marina, fabulous CAS design. What a lovely cluster of flowers, Marina - gorgeous against the white background! Fabulous CAS design, Marina! I love those delicate little flowers and leaves behind the sentiment! Love this gorgeous CAS card! The coloring and flower image are adorable!